Google is the largest and most popular search engine in the world. 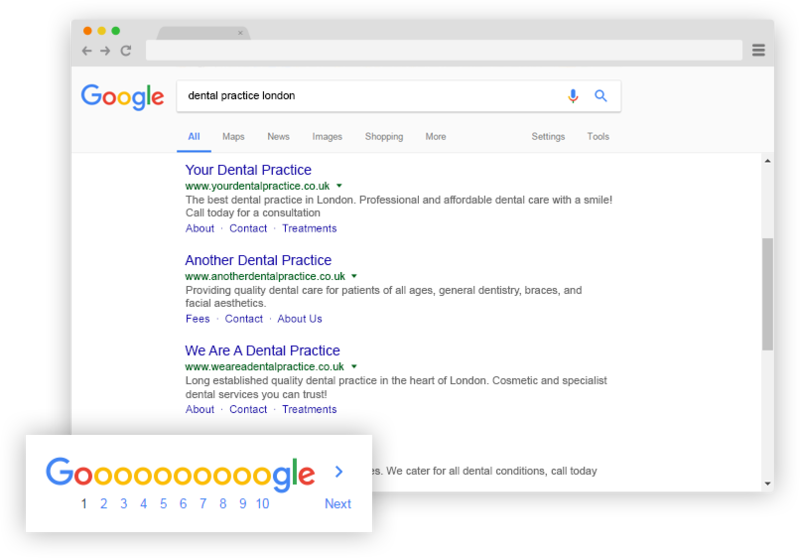 More people use Google to find information than any other search engine, so naturally you would want your dental practice to show up on page 1 of searches for certain keywords. We ensure that any updates in Google’s algorithm do not affect your website rankings as we work hard to follow Google’s best practices. Google is also able to provide you with access to statistics and insights about how well your website is doing in terms of traffic and audience via Google Analytics. We can guide you through these services. Over a billion people now use Google Maps and Apple Maps so frequently in everyday lives as they are not just for directions; they are also great for locating businesses. 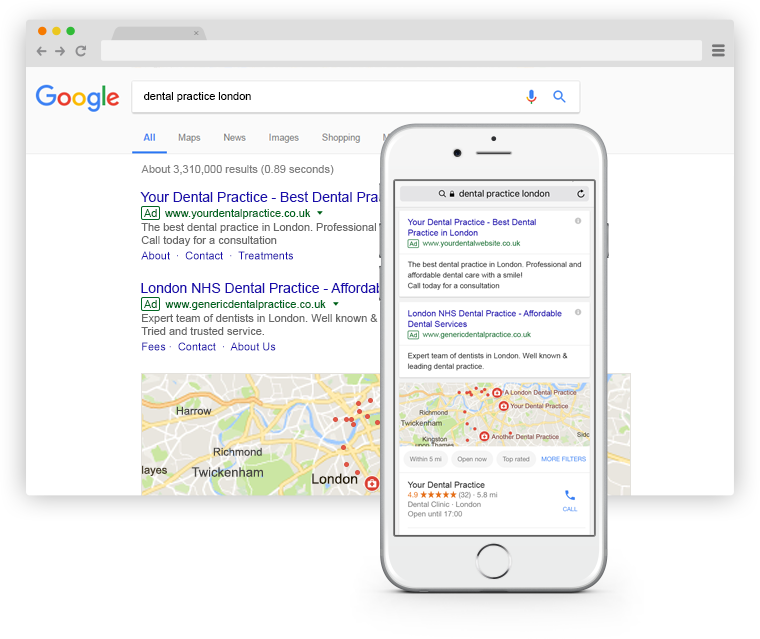 It is important to have your dental practice added to all networks so that it can be found easily, especially on mobile devices. 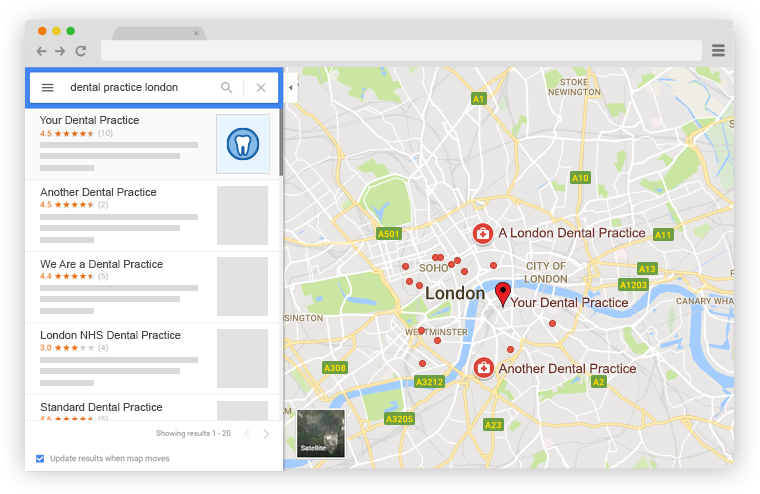 Google My Business is an effective way to market your dental practice online. 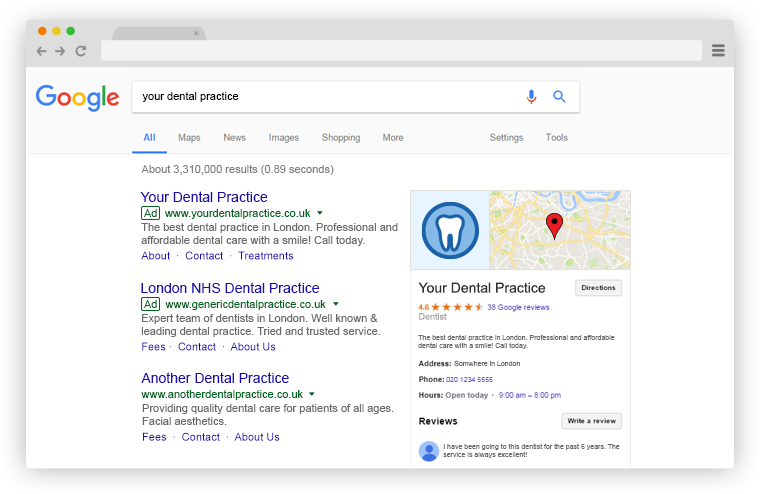 It helps dentists to promote their treatments and services to local patients at the exact time they’re looking for a local business. Being on all of Google’s services is very crucial as it helps your patients to find, share, rate, and recommend your business to their friends, family, and other people across the web. We can help you set this all up correctly and get you visible. Google AdWords is a paid online advertising platform that many businesses use to increase their online visibility. Depending on the competitiveness of your market, it is often crucial for organic SEO, and paid searches to be incorporated into your online marketing strategy. We are Google Adwords specialists, and can set you up your account in a way that you will always know exactly how well the campaigns are working. With visual content being more popular and effective than ever, YouTube continues to dominate among visual-centric social networks with 85% of online adults claiming to be regular YouTube users. 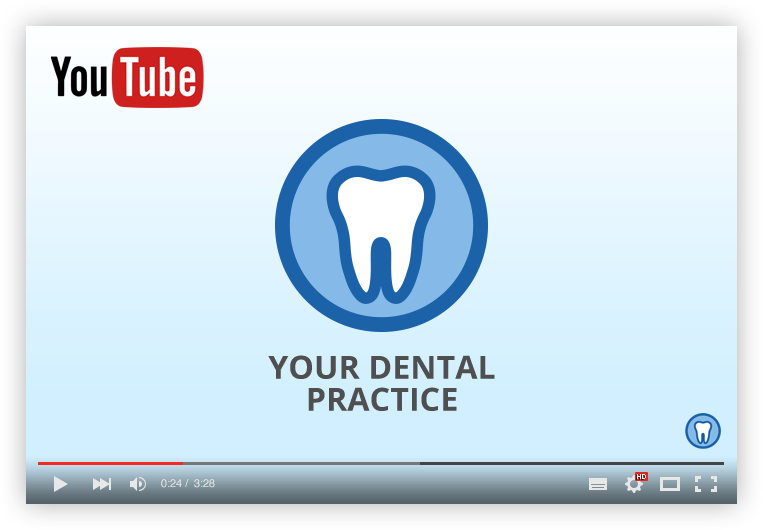 YouTube provides a platform and opportunity for dental practices to get videos such as their patient reviews, practice intro’s, and patient advice, all in front of a large audience. We can optimise your videos for searches, and promote your channel to the wider audience.